Russian hackers have released confidential information about dozens more Olympic athletes, the World Anti-Doping Agency says. The new leak from cyber criminal group known as "Tsar Team" and "Fancy Bear" affects 25 athletes, including 10 from the U.S., WADA said late Wednesday. 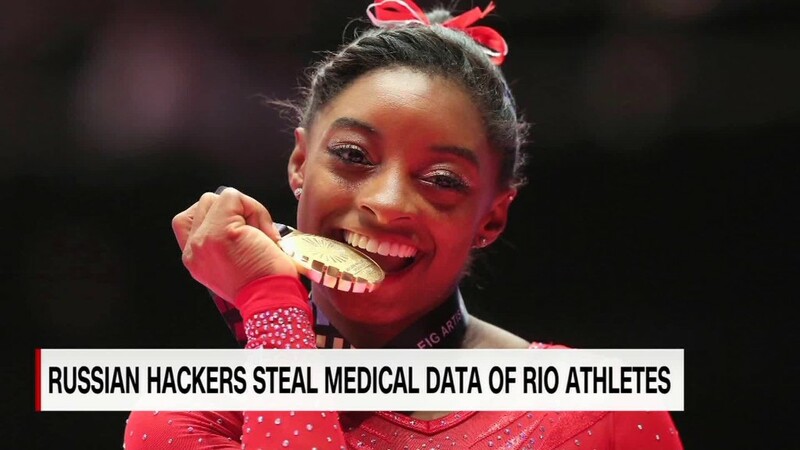 WADA said the hackers stole the medical data of Olympic stars by breaking into its database. The anti-doping agency said the hackers were operating from Russia. Earlier this week, the same group published information about four U.S. athletes, including gold medal gymnast Simone Biles and tennis player Venus Williams. The same group of Russian hackers is thought to have been behind the Democratic National Committee hack in June -- which released sensitive political information and led to the resignation of the committee chairman. "WADA is very mindful that this criminal attack, which to date has recklessly exposed personal data of 29 athletes, will be very distressing for the athletes that have been targeted and cause apprehension for all athletes that were involved in the Rio 2016 Olympic Games," said Olivier Niggli, the agency's director general. It didn't name the athletes whose information was released in the latest leak. Besides the 10 from the U.S., those affected include five from Britain, five from Germany, and one athlete each from the Czech Republic, Denmark, Poland, Romania and Russia. The U.K. Anti-Doping Agency condemned the leak, saying in a statement that the "illegal" release is "grossly unfair to the athletes" and undermines the protection of clean sport. On the Fancy Bears website, which CNN cannot confirm as legitimate, the hackers offered a message this week that said in part: "Greetings citizens of the world. Allow us to introduce ourselves. We are Fancy Bears' international hack team. We stand for fair play and clean sport." They're expected to make more athletes' information public in the future, releasing the data "in batches," WADA said. The initial leak earlier this week affected Biles, Williams and basketball player Elena Delle Donne, revealing their use of approved medications. The United States Anti-Doping Agency said all of them had "done everything right in adhering to the global rules for obtaining permission to use a needed medication." The Russian government has denied any involvement in the hack. This is not the first time WADA has been targeted. The anti-doping agency database account of whistleblower Yuliya Stepanova was hacked in August. The runner helped expose the scale of Russian doping problems last year. WADA recommended banning all Russian athletes from the Rio 2016 games, after an independent report said the country operated a state-sponsored doping program during the 2014 Sochi Winter Games. Russian officials and athletes likened the move to Cold War era conflicts. "WADA has no doubt that these ongoing attacks are being carried out in retaliation against the agency," Niggli said. The organization has asked Russia "to do everything in their power to make it stop," he said. "Continued cyber-attacks emanating from Russia seriously undermine the work that is being carried out to rebuild a compliant anti-doping program in Russia."